The Tottenham forward knows there is still work to do against Pep Guardiola's side, but sees his club being able to match their qualityTottenham goalscoring hero Heung-min Son doesn't see any reason for his side to back down from the best sides in the world. The forward netted the winner for Spurs in the first leg of their Champions League quarter-final clash with Manchester City on Tuesday, giving the London outfit a 1-0 advantage ahead of their away leg in Manchester. "It means a lot for us and me as well, especially in this stadium. It's our second game here and I got the second goal in a row. We won, it's an important win with a clean sheet and that's the most important thing." Son's goal came in the 78th minute, with the 26-year-old cutting back off the line following a loose first touch and finishing with his left foot under City goalkeeper Ederson. 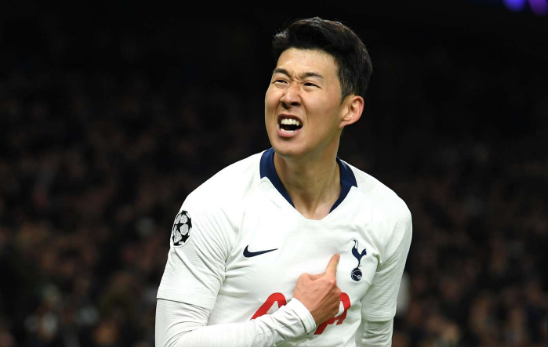 It was a typical bit of play for the South Korea international, who has made a habit of making something out of nothing in his career and has netted 18 times across all competitions for Spurs this season. But Son was quick to admit that his first touch was nearly costly. "My first touch was not so great and I think a better first touch would have made the finish easier," he said. "But I try to never give up, try to get the ball again and make an angle and try to shoot from a better position." Tuesday's victory leaves Tottenham in the driving seat heading into the second leg. The club have progressed each of the last nine times they've won the first leg of a European knockout round tie, while Manchester City's history shows three straight losses in the Champions League knockout rounds when losing the first leg.